Story courtesy of Mark Jonas. For years we have been saying “Why do we only breed small players at North”? Well this all appears to be changing. With the recent signings of a couple of big boys, we had yet another last night! 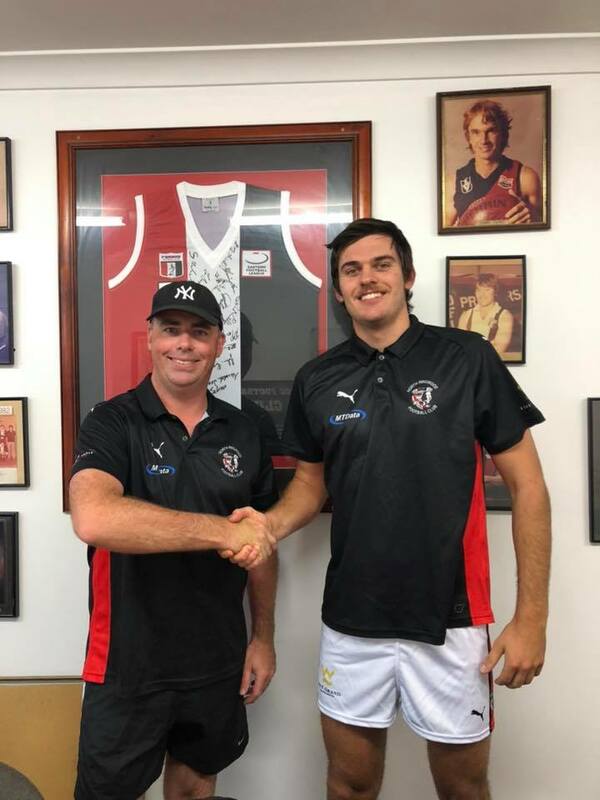 North Ringwood Football Club would like to welcome Kyle Eliott to Quambee. At only 22 years old and nearly 200cm, Kyle is a fantastic signing. After playing a lot of junior footy, Kyle decided at 16 to follow his basketball dream. Kyle spent 4 years in the U.S playing college basketball and returned last year. After training with Essendon and Coburg late last year, Kyle has made his way to Quambee and will play with the Saints 100% of the time. Kyle has extremely strong hands, a fantastic leap, and is very quick for a big bloke. Welcome Kyle & Family, to the mighty Saints. Bring on Saints Season 2019 ! !